What is Cornflour and what can you use it for? Not to be confused with cornstarch, in the UK and several other countries, cornflour is interchangeable with cornstarch so you need be extra careful where the recipe you are about to make has come from. 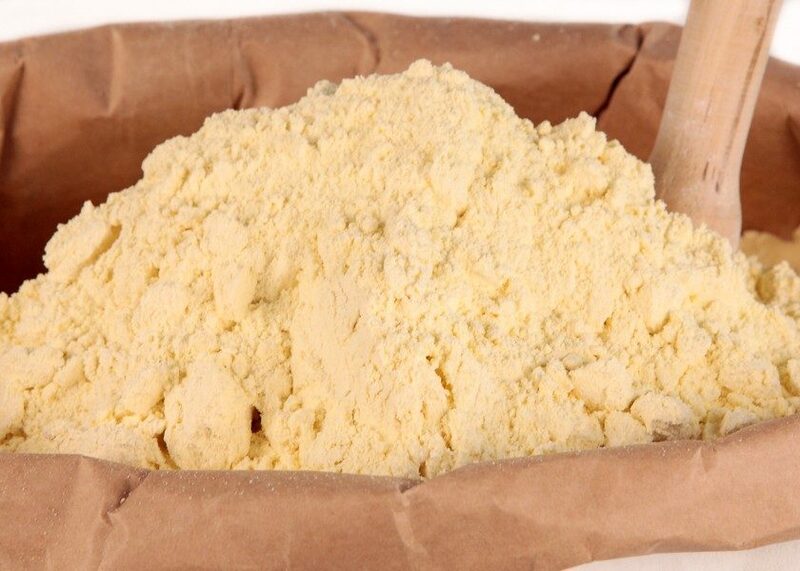 In the US cornflour is the finely ground or milled version of cornmeal. It has roughly the same texture as normal cooking flour that is made from wheat. The corn(Dent corn) is dried and processed in the exact same way as cornmeal except that the milling process continues to mill the corn down to a much finer flour grade than that of cornmeal. Just like cornmeal it can come in a variety of colors such as blue, white and most commonly yellow all depending on the exact variety of corn that it was milled from. What is a Good Cornflour Substitute ? Assuming that we are not talking about cornstarch then there are several substitutes you can use for cornflour. A lot of recipes that may require cornflour as a coating before something is fried can use almost any flour. However if you need it for the flavor of corn in your recipe then cornmeal may be a good substitute assuming that the grainier texture is not a problem. Wheat flour – Again ordinary wheat flour is fine assuming you do not have any gluten issues. Cornmeal – Cornmeal can act as a cornflour substitute. It is perfect for sprinkling under cakes and on top of breads for an added bit of crunch. If you have an old electric coffee grinder you can of course take some cornmeal and grind it down to be as fine as cornflour. Just make sure the grinder has been thoroughly washed and dried before hand to remove any of the oil left behind from grinding the coffee beans. Does Cornflour have Gluten ? No pure cornflour should not contain any gluten however just like cornmeal and cornstarch it depends on how well the company that made the cornflour kept any grain products that contain gluten away from the cornflour during production and packaging. More often than not all of these flours whether they are corn based or wheat based will be stored, processed and packaged in the same machines and building together. The only way to be sure that there is no cross contamination is to use a cornflour that is processed exclusively only with other corn based products. Does Cornflour go Bad ? Like most other flours it should be fine once it is kept in a sealed container in a cool dark storage cupboard. If it is kept dry then it should be usable up to and including the best before date. Like anything else the better you care for it the longer it lasts. « What is Gruyère Cheese?